Treatment For Alzheimer's Should Start Years Before Disease Sets In : Shots - Health News New research suggests that by the time an Alzheimer's patient is diagnosed, many key neurons are already dead. Neuroscientists say it's possible that several recent trials of drugs for Alzheimer's have failed because the drugs were given after symptoms had already started to appear. Alexis McKenzie, executive director of the Methodist Home of the District of Columbia Forest Side, an Alzheimer's assisted-living facility, puts her hand on the arm of resident Catherine Peake. Once those neurons die, he says, critical brain circuits involved in thinking and memory are gone forever, Morrison said. "We need to move way back in time and intervene before there's extensive neuron death." Morrison and others said it's possible that several recent trials of drugs for Alzheimer's have failed because the drugs were given after symptoms had already started to appear. "It's possible we've tested things and discarded them prematurely," said Sam Gandy, also at Mount Sinai. "Now that we can see the changes in the brain that underlie Alzheimer's, we really should re-evaluate some of the things we've looked at." It's still not clear just how early treatment would have to start. But one study presented at the neuroscience meeting suggested it could be a decade or more. The study has been following 121 people as they age, said Lori Beason-Held of the National Institute on Aging. Participants have undergone periodic scans that measure the function of certain areas of the brain, she says. "Our study has discovered changes in the brain that occur up to 11 years before any symptoms occur," Beason-Held said. But it's likely that the process that leads to Alzheimer's begins even earlier, she said. "If we need to stop things before they even start, it could be 20 years before somebody develops the symptoms," Beason-Held said. "If it turns out that we can reverse some of the pathology then it might be, say, 10 years." The new interest in early intervention has some scientists reconsidering experimental drugs that appeared to fail in people. But to retest these drugs, they would have to be administered to younger people who are not experiencing problems with thinking or memory and might never get Alzheimer's. That raises some tricky ethical issues, Gandy said. "People have to understand the risks and make the decisions for themselves, with their physician, whether it's right for them to begin a drug for which the long-term risks might not be known," he said. One group that might take part in that kind of experiment is people with a family history of early-onset Alzheimer's, researchers said. Despite the setbacks in the search for treatments, many scientists at the neuroscience meeting still think they're closing in on drugs that will work. One reason is the relatively recent discovery that neurons don't die just because someone is getting older. They appear to to remain healthy as long as the connections between them, known as synapses, remain intact, Morrison said. "This current thinking that neuron death is not inevitable is a far more optimistic view," Morrison said. "And I think we will get to a point where we push back the average onset of Alzheimer's and may even decrease its prevalence." 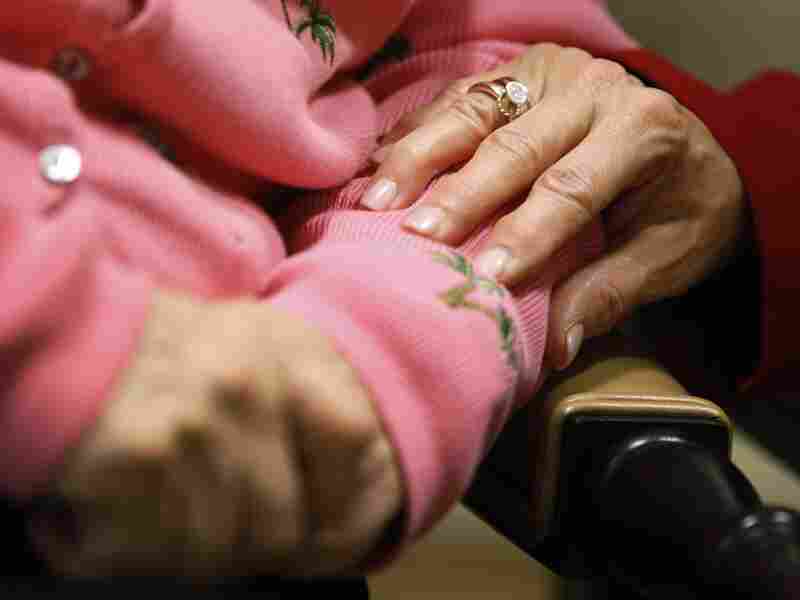 But some scientists said they were discouraged by the recent failures with Alzheimer's drugs. "Twenty years ago when I [began] this work I was hoping by 65 I was going to have a pill for myself," said Fred van Leuven, a researcher from KU Leuven in Belgium. "That's next year and I don't have a pill yet." But during the neuroscience meeting, Van Leuven also presented a study showing that a new type of drug was able to help mice with an Alzheimer's-like condition.